Guided tasting sessions in our blending labs allow you to learn about the craftsmanship of the Master Whisky Blender, while demystifying the world of whisky in a fun and informative way. What’s better, you get to create your own 200ml bottle of whisky. 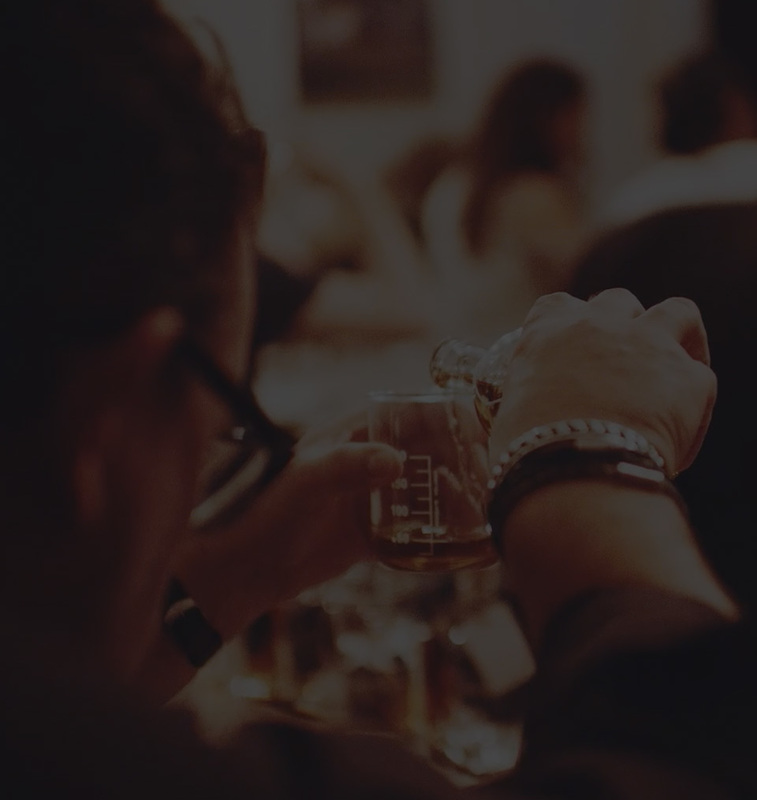 Experiences are hosted in some of our favourite bars in London, Liverpool, Manchester, Leeds and Glasgow. Running from October to early Spring 2020. "If school science lessons were like this, I'd have probably aced it." 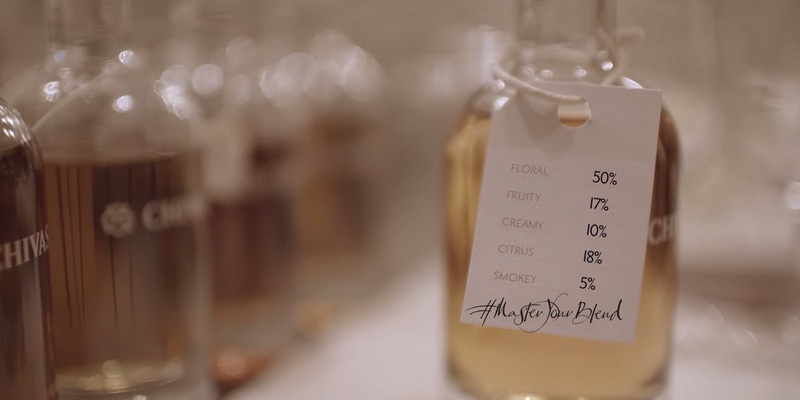 Learn what it takes to craft a master blend. You’re known for drinking only the finest whisky. Now blend to impress with a creation inspired by your very own palate. Guided tasting sessions in our blending labs allow you to learn about the craftsmanship of the Master Whisky Blender, while demystifying the world of whisky in a fun and informative way. 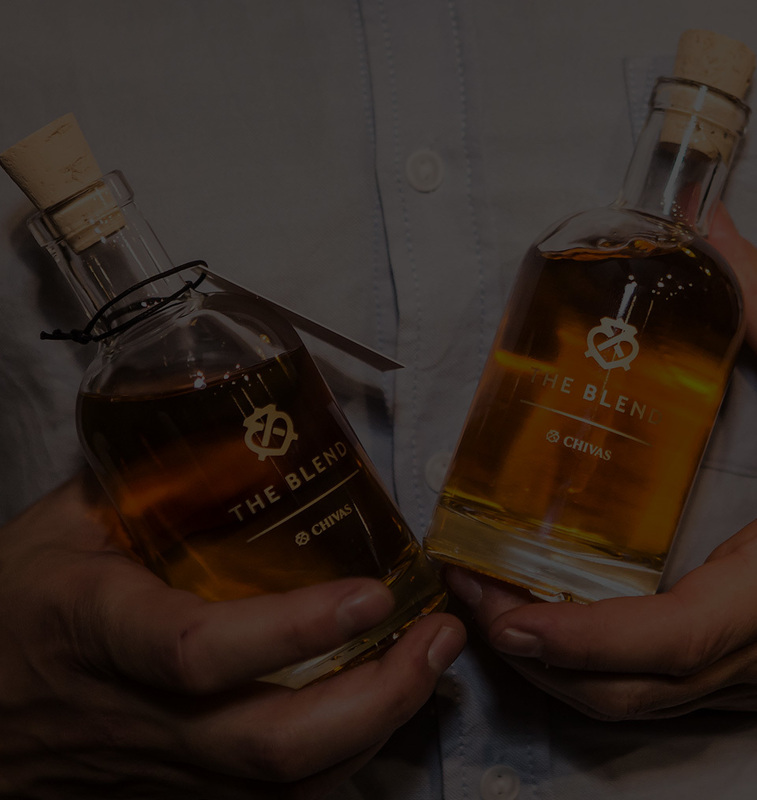 What’s better, you get to create your own 200ml bottle of whisky, handcrafted from a combination of floral, citrus, fruity, creamy and smokey flavours. All that’s left to do is serve up your special blend at home and enjoy not only its distinctive taste, but the compliments that come with it. Life’s always better when you mix things up. The same goes for a finely matured whisky. That’s why Chivas, the original luxury blended Scotch whisky, has always brought together the best malt and grain whiskies for the perfect harmony between smoothness and flavour. In 19th Century Aberdeen, brothers John and James Chivas pioneered the art of blending various whiskies together to create something extraordinary. Today, each Chivas Regal whisky has its own unique formula and selection of aged whiskies, giving each one a distinct character. It’s why many agree, success is a blend.